Vernon Jones is a Virginia native who settled in Wyoming Valley after touring with nationally renowned Show & Dance Band The Gentlemen & their Ladies. He performed with popular wedding band The New York Times as a featured Vocalist, Saxophonist, Keyboardist & Front-Man. As a member of the Roc-Kay’s Band, Vernon performed as an opening act for national recording artists Kool & the Gang “Celebration,” The Young-Holt Unlimited (formerly with Ramsey Lewis Trio) “Soulful Strut,” The Showmen “39-21-46,” Candi Staton & The Detroit Emeralds. Inspired by recognition from The Billboard Song Contest & Music City Song Festival he released his debut album LEGACY that was showcased on WVIA-FM’s Home Grown Music & featured on WWDL-FM. 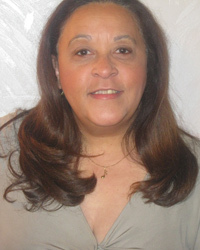 Although a native New Yorker, Diane Jones has spent most of her life nestled in Northeastern Pennsylvania, she started her singing career with premier jazz group The Velvet Touch. Later she sang & played percussion with notable wedding & party band Reflections. During Harry Chapin’s Northeastern Pennsylvania “Concert for World Hunger,” Diane was privileged to sing Big John’s part in “Mister Tanner”. As leader of Band’s Friends featuring Diane & Diane Dixon & Turning Point, her impersonations, performances & personality have captivated audiences at many of the Pocono Resorts. She has been the opening act for Helen Reddy, Milton Berle, Chubby Checker & Lee Andrews & the Hearts. Since meeting in the Poconos, Vernon & Diane have merged to form Windfall the Powerhouse entertainment duo. Starting in 1988, Windfall has cultivated loyal fans & friends from performances at Private Parties, Resorts, Weddings & other occasions. Experienced in the art of Show Dance, They know how to captivate & entertain an audience. Based in Northeastern Pennsylvania, some engagements extend to New York & New Jersey. Was the first Entertainment Agency to provide entertainment to Mohegan Sun at Pocono Downs, the first Casino in Pennsylvania. Licensed by the PGCB (Pennsylvania Gaming Commission Bureau). President, Diane Jones manages corporate accounts & shares responsibility for new client acquisition & growth with the Vice-President. Vice President, Vernon Jones is a voting member of NARAS (The National Academy of Recording Arts & Sciences)/ The Grammies. 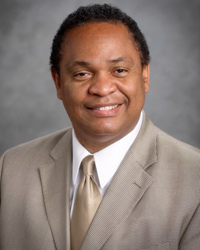 Vernon Jones is President of Fallwind Publishing. 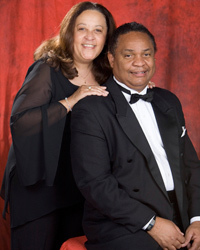 Vernon & Diane are members of & Ambassadors for the Wilkes-Barre Chamber of Commerce. Vernon is an alumnus of Leadership Wilkes-Barre class 2010. They are both very active in many other organizations.